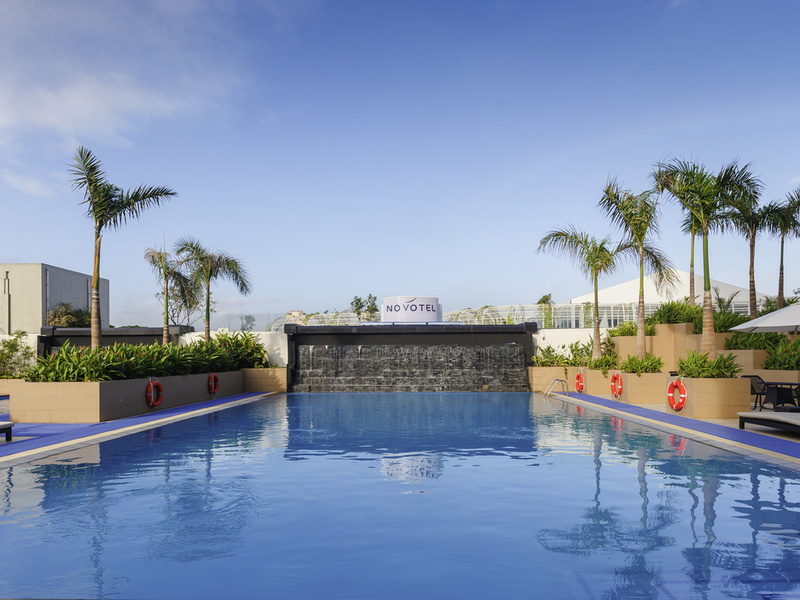 Novotel Manila Araneta Center is the perfect base to explore Quezon City, located right beside Smart Araneta Coliseum and a few steps from Gateway Mall and Kia Theatre. Be it for business or pleasure, guests enjoy proximity to the country's government offices, business centers, shopping malls, historical sites and entertainment venues. Nearby attractions include Art In Island 3D Museum, Farmers' Market, Gateway Gallery and Quezon Memorial Circle. We will definitely go back to Novotel. My kids had so much fun. My eldest soon really appreciated the buffet breakfast because of various food selections. Staff were courteous especially those at the 24th floor. Novotel had prepared and gave my family what they deserved. And we thank you for the warm reception. Until next time. The food was great and staffs too. Had good breakfast during our stay. Rooms are clean. There was good accommodation, convenient and comfortable. Ventilation and lighting system were okay. We are grateful for the wonderful experience we had at Novotel. Hotel staff and crew are very couteous and the rooms are clean. Facilities are well-maintained. very accommodating staff, awesome service. breakfast buffet has an extensive selection. thank you chef ej for going the extra mile for the very tasty french toast . comfy bed, nice shower, a good variety of english channels on tv, awesome location being in the busy araneta center. fast check incoutesy of deanne kudos to darwin labayandoy and all the staff of novotel for providing top notch service. Novotel Manila is a nice place to stay. As I am a coffee lover, it would be good if the hotel can provide better complimentary coffee. good location of the hotel, as there are many shops and restaurants around the hotel. nice people and good facilities as well. All the staff are very attentive and friendly. A special thanks to the gym instructor Dan. Dan is so nice to all the customers who use the gym and swimming pool. His professional service to the gym users is surely a huge contribution to the overall experience with the hotel. keep up with the great work, guys. thank you so much. Everything was fine till the last day! Check-in was smooth and efficient. The welcome gift was an interesting twist to the usual bottle of wine, this was nice touch of knowing the sweets/snacks of The Philippines that came with a list of names and pictures! Brekkie at the lounge area was good. however, the brekkie downstairs at the main restaurant on my last day was just sad. Asked for a sausage (yes, those massive ones) to go along with sunny side-ups...Told to come back 10min later, and so i did!!! Sausage weren't ready, so i thought i have the eggs first... Came back later, only to find the sausage i asked for, mutilated and sliced into 2!!! It was a piece of lifeless, filled with oil & sadness piece of meat! i took it and took a picture and didn't eat it at all! All i remembered was the cook sulking while saying, &quot;its too hard to cook&quot;!!! Well if it is...then why bother putting in there!!! Staff were so good and polite, i have asked for a late chk out, they allow me to extend 1more hour. I love the food. I also love the rooms because it is clean and comfortable. This has been a fantastic stay. Everything went smoothly from start to finish. Our room was clean and spacious, and offered a nice view of the surrounding area. The bed was very comfortable. Cleaning service was fantastic and the housekeeping staff very friendly and considerate of our erratic schedule. Check-in and checkout were a breeze, and staff was friendly and helpful for most of the stay. The pool is amazing. The only (minor) hitches were as follows: a K-9 guard who gave me a sleazy look on the first day when I had to step out in the lobby in a swimsuit, and kept doing so over the next few days every time I saw him; a waitress at the poolside bar who spoke almost no English and giggled instead of answering our questions; and slightly slow breakfast service on the last day - we had to wait a while to be seated as the restaurant host was on the phone, and our coffee order was forgotten twice. Fortunately none of these really impacted our experience, and we would certainly want to stay here again.